PartyZone is your go to event rental company in Kenner, LA. If you want to make a statement at your next event, trust PartyZone to handle all your event rental needs. We are rated one of the best in the Kenner area. We are a locally owned and operated company right here in Kenner inside of Jefferson Parish, LA and were founded in 2009. We pride ourselves on offering a huge selection of clean, safe rentals to suit any size party or event. Our friendly staff specializes in helping you to pull of a memorable event of all types and sizes. 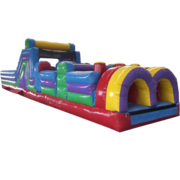 So, whether you are planning a birthday party, school fair, company picnic, church festival, corporate event or wedding, you can count on PartyZone to accommodate your every need. With over 60 themes available, you are sure to find one that suits your event perfectly. Not sure which theme to choose? No worries, our knowledgeable staff is here to help guide you through the whole process. We provide on-time deliveries and professional set up, so you can ensure that your event goes off without a hitch. Our inflatables and equipment are meticulously cleaned after each use as the appearance and safety of our equipment is paramount. If you are looking for event rentals to take your upcoming event to the next level, we invite you to check out our extensive selection of party rentals and book your next event with us today! Inflatable bounce houses are a party rental favorite in Kenner. We have plenty of affordable options to choose from with over 60 themes. Inflatable water slides bring real fun to the summer months in Kenner. We have waterslides ranging from 13 - 22 ft tall to accommodate all ages. Looking for an inflatable bouncer upgrade? 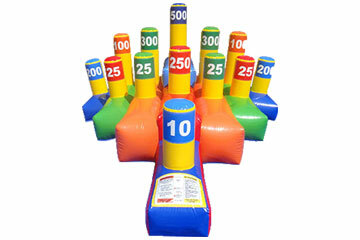 We have combo bouncers that bring in extra features to the basic bounce house. Bounce and Slide with these fun inflatables. Need a combo bounce house with a water slide during the summer? Browse the most unique water combos available in Kenner. Don't let the little ones be left out! We have inflatable toddler bouncers specifically designed for the toddler crowd. Browse our themes. Too cool for a wet slide? Don't worry, we have plenty of inflatable dry slide options to choose from. 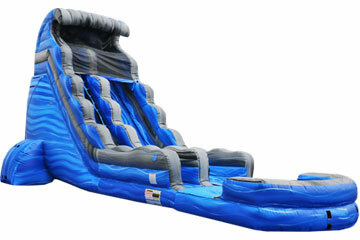 It can be a stand alone dry slide or a bounce and slide combo. Interactive sports games combine some friendly competition with a little healthy activity. We have plenty of options to choose from. Inflatable obstacle courses are a great choice for school events with large crowds with options from 30 - 100 ft long full of fun and adventure. An inflatable slip n slide brings more fun to the playing field when combine with some warm weather. Take the plunge down the 36 ft dual lane slide! Fundraiser anyone? Get in line to take a chance at your boss, teacher or coach with our dunking booth. 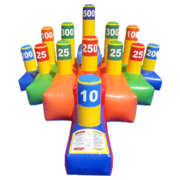 Have your own carnival with our inflatable carnival game options and interactives. Giant yard games are a perfect add-on to your inflatable rental. We have giant versions of the popular classic games. Looking for a place to sit down and put your food on? 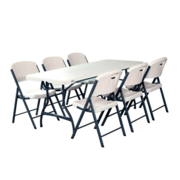 We have banquet tables and commercial grade folding chairs. Need some quick shade for your guests? 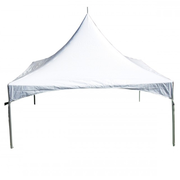 We have high peak frame tents in a variety of sizes. Need some tasty treats for your guests? 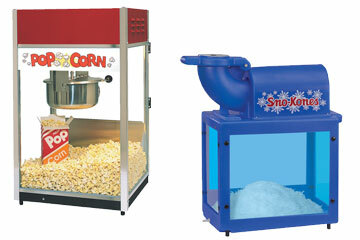 We have popcorn, sno kones and cotton candy just for that! 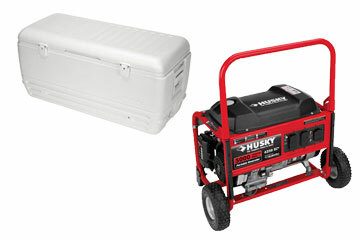 No need to look for all the add-on rental items, we have everything you need for a one stop shop! 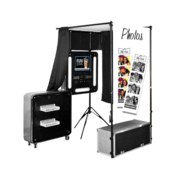 Premium selfie station photo booth with tons of props and backdrops in 3 different packages. Combine your popular inflatables with some tents, tables and chairs to bundle and save big money! 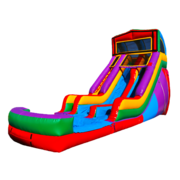 At PartyZone, inflatable party rentals in Kenner, LA are our specialty! 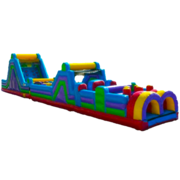 We offer a vast selection of inflatable party fun, perfect for any event. 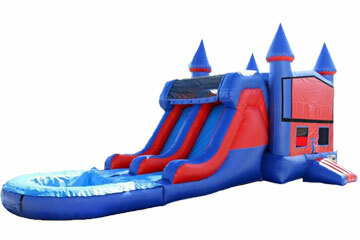 From bounce houses, to slip and slides to obstacle courses, we have your every inflatable need covered. Kids to adults, no one can resist the fun of an inflatable. Inflatable rentals provide safe, interactive fun for the whole crowd. All of our inflatables are thoroughly cleaned and professionally set up; ensuring your guests' safety is our number one priority. Check out our wide variety of inflatable offerings that are sure to impress at your next event! 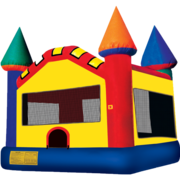 PartyZone Bounce House Rentals offers the largest selection of inflatable bounce house rentals in Kenner, LA. With over 60 themes to choose from, you are sure to find a bouncer that everyone will enjoy and remember. Whether you call them a spacewalk, jumper, moonwalk, moon bounce, jumping jack, jumping castle, bouncy castle, bouncing castle, bounce house or bouncer it doesn't really matter because they all mean one thing; hours of healthy fun for the kids! If you are hosting an event with children, renting a bounce house is a guaranteed way to impress and provide hours of entertainment. There are bouncers to fit any event, from a small backyard birthday party to a large corporate event %u2013 we have got you covered! 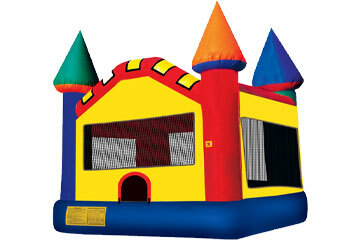 We offer a large selection of basic bounce houses, available in over 60 different themes. Does your child have a favorite character or passion? Chances are we have a bounce house that suits your child perfectly! 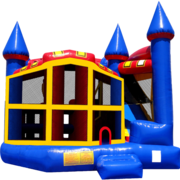 Combo bounce house rentals incorporate the fun of bounce house jumping with the addition of a slide and other fun elements that will keep the party going and the kids entertained for hours. We have a huge selection of combo bouncers; including 4n1, 5n1 and 7n1 options to fit exactly what you're looking for. Your child can bounce in the main bounce area, shoot some hoops, or climb ladders and walls before sliding down %u2013 all in one super fun inflatable unit! 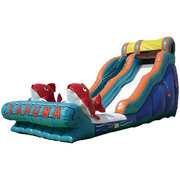 These bounce and slide combo inflatables come in wet/dry options perfect for the summer months as a water combo. Bounce houses are incredibly popular with the toddler crowd; drawing them in with their bright colors and themes. However, the larger bouncers can sometimes be intimidating for toddler aged kids. 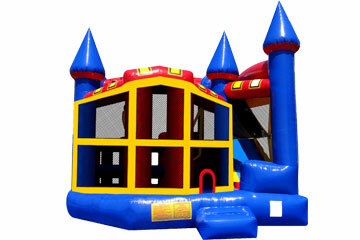 PartyZone offers toddler bouncer rentals that are specifically designed for the little bouncers. Smaller and safer for toddlers, you can be sure that even the smallest attendees at your event are having a great time. 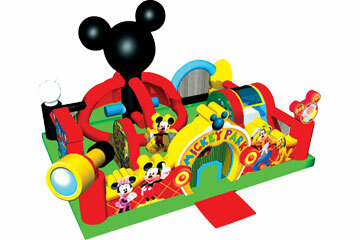 Check out our fully themed Mickey Park Learning Club toddler playground. Hosting your event in the hot Kenner, LA heat? 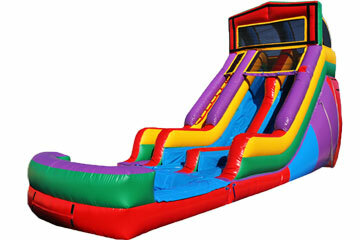 Want to incorporate some water slide action in with your bounce house fun? We've got you covered! Our wet/dry combo bouncers combine the large jumping area that kids love with an additional element of surprise-a slide that can be used with water! You can turn your bounce house into a mini water park for hours of fun in the sun. If your event is outside in the summertime, you need consider renting a water slide! What better way to keep your guests entertained and cool than with inflatable water slide rentals in Kenner, LA. Guaranteed to provide hours of clean, safe fun in the sun, renting a water slide for your next summertime event is sure to be a hit. We have inflatable slides to accommodate every event size. Our waterslides range from 13 ft to 22 ft tall. Safety is our main priority and you can rest assured that all of our water slides provide the utmost safety measures for even the smallest of party goers. Weather not conducive for a water slide? No worries, we also offer a large selection of dry slides! At PartyZone we don't believe that the fun needs to stop just because your event isn't in the summer. 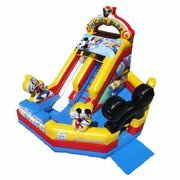 We offer dry inflatable slides for the cooler seasons when you are still able to be outside, but a water slide may not be realistic. Our dry slides provide entertainment for your entire crowd; from the toddlers to adults %u2013 no one can resist a trip down the slide! Ready for some good old-fashioned fun and competition at your next event? 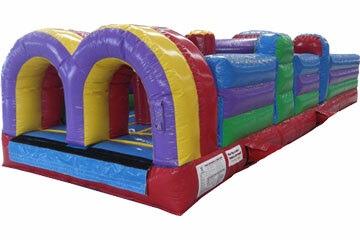 Consider PartyZone's Kenner, LA obstacle course rentals for some fun and exciting action, suitable for all ages. 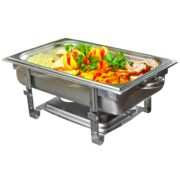 Perfect for school functions, church events, corporate gatherings, birthdays and more. Renting an obstacle course for your event is a sure-fire way to get all your attendees involved and having fun. From our 17 ft rock and climb slide to our 70 ft extreme obstacle challenge, we have the perfect obstacle course to fit any event type or size. 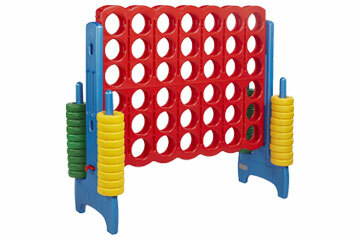 Your guests will be crawling, bouncing, dodging and sliding for hours. 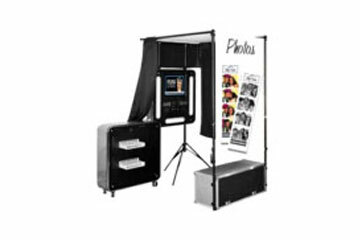 Looking to add some more interactive fun to your next party or event? 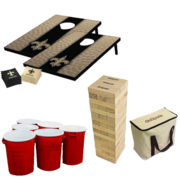 Why not include some of our Kenner, LA party rentals to really liven things up? 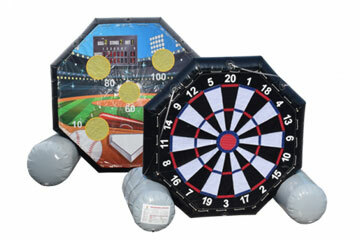 We have everything from yard games, interactive sport games, carnival games to concessions. Get your guests up and having a great time by providing entertainment options for everyone! 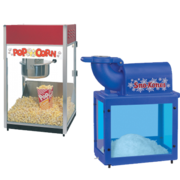 Your guests will feel like they are at the carnival with our popcorn machines, sno-kone machines and cotton candy makers. PartyZone will help to get your next party started with Kenner, LA Kenner, LA dunk tank rentals. Who can resist the fun of a dunk tank? 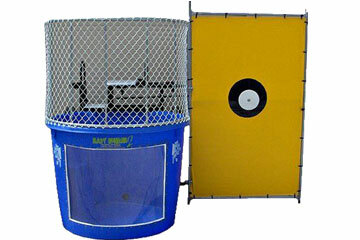 Perfect for fundraisers, dunk tanks provide your guests with plenty of fun and competition! From the dunker, to the dunkee to the spectators, every guest is sure to get a laugh while they watch the dunkee take a plunge! Want to raise some money at your next event? 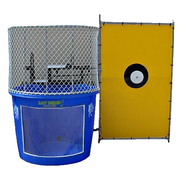 Who wouldn't pay for a chance to see their boss, colleague or teacher get dunked into the water with these classic dunking booths? Dunk tanks provide good, clean fun for all ages. Your guests will be lining up to take their shot at being the next to make the dunkee take an unexpected plunge. 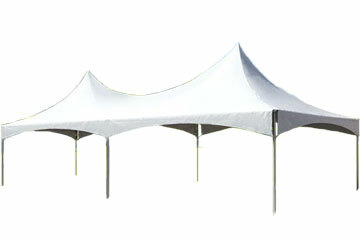 PartyZone offers the largest selection of tent rentals in Kenner, LA to fit any event. We all know how unpredictable the weather can be, don't take a chance at the weather ruining your next event, be prepared with a quality tent rental from PartyZone. Whether you need protection from the hot Kenner sun or from the chance of a light rain shower or wind, we have a tent to perfectly suit any event. No one wants to be stuck outside in the hot sun without an area to get a reprieve. Renting a tent for your event ensures that your guests have a place to go to get out of the sun and enjoy some shade. Not only do tents keep your guests cool and protected from the sun, they keep your parties' food and drinks safe from the sun's hot rays. Don't let Mother Nature put a damper on your next outdoor event, rent a high-quality tent from PartyZone to make sure your guests are comfortable! So you've got your tent, now what to put under it? 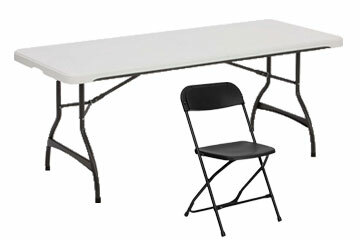 Our company also offers Kenner, LA table and chair rentals, making us your one stop party shop. Make sure your guests have a place to sit, eat and relax during your next event. We offer a large variety of table and chairs that will fit any budget and party style. With your choice of round or rectangle tables, you can set up your space exactly how you wish. Our folding chairs are sturdy, reliable and clean. From birthday parties to banquets, we have the table and chairs to outfit any event. Rounding out your complete party needs, PartyZone provides the best Kenner, LA event catering services. We specialize in making all your Louisiana favorites! Our talented catering staff is ready to cook up some delicious food that is sure to please any crowd and to keep them coming back for more. Special menu requests? No problem, we custom fit our catering to you! Why Choose PartyZone in Kenner, LA for Your Event Rental Needs? We are a comprehensive event rental company right here in Kenner, LA. We service your every party rental need. We understand that a dirty inflatable is not only a safety hazard, but also an eyesore. 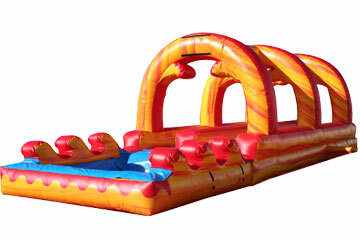 PartyZone will never bring a dirty, un-sanitized inflatable to your event. All of our rentals are thoroughly cleaned and sanitizes between rentals. PartyZone prides itself on providing top notch customer service that goes above and beyond your expectations to make your event as smooth and seamless as possible. We understand that planning an event is often a difficult undertaking, so we make sure we take as much of that burden off of you when it comes to your event rentals as possible. We help you to organize and pull off an incredible event that your guests will talk about for years to come. 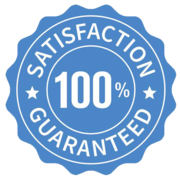 We are so confident in our team and equipment that we guarantee the customer's satisfaction. Our focus on safety and customer service gives us the edge over our competitors. You will be hard pressed to find a more extensive selection of party rentals in Kenner, LA. PartyZone offers options for every event no matter the size or type. We know that kids can be picky, so we offer over 60 different inflatable themes, ensuring there is one that will suit even the pickiest party thrower. 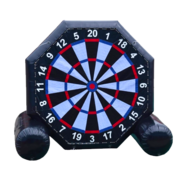 Whether your event is a small get together or a large function, we have a variety of different sized inflatables that you fit your event perfectly. 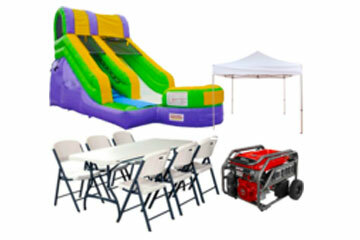 PartyZone offers easy and convenient online booking of all of our event rentals. You have the ability to check online to see what rentals are available for your event date and book them right online with the click of a button. We understand that you are busy and squeezed for time, so we make it easy to quickly and easily reserve your rentals right from your computer. 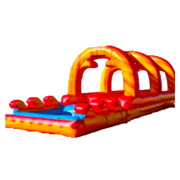 When you rent from PartyZone, you can rest assured knowing that you are dealing with a locally owned and operated inflatable party rental company in Kenner, LA. We have been helping Kenner residents organize amazing events since 2009! 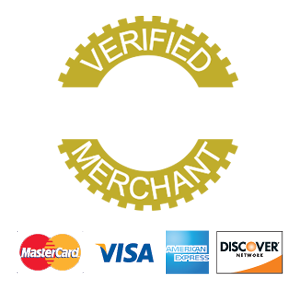 We value our customers and to show our appreciation we offer specials and discounts on our event rentals. From rewarding our loyal customers to supporting our local Kenner emergency officials and military personnel, we offer discounts that show that our customers are our priority. We truly are your one stop event rental company in Kenner, LA. We provide everything from entertainment to catering. No need to coordinate with a dozen different companies when trying to pull off your event, PartyZone handles it all in a professional and efficient manner. What are you waiting for? 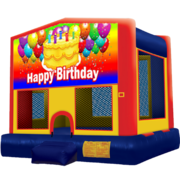 If you have an upcoming birthday party, church function, or corporate event, make sure your party is one to remember by incorporating some of PartyZone's high quality event rentals! As of recently, PartyZone has been specializing in large events for our corporate, church and school clients. We have delivered to just about all of the parks and playgrounds located in the City of Kenner within Jefferson Parish. If you are planning a corporate event, check out Veterans Park at the edge of Lake Ponchartrain by the Treasure Chest Casino at the end of Williams Blvd. For a kid's birthday party, the Veteran's Memorial Park located near the New Orleans International Airport right off Wiliiams Blvd by Kenner City Hall has some really nice pavillions and shelters. Check out the City of Kenner Parks and Playgrounds page for more info on shelter or pavillion rentals. 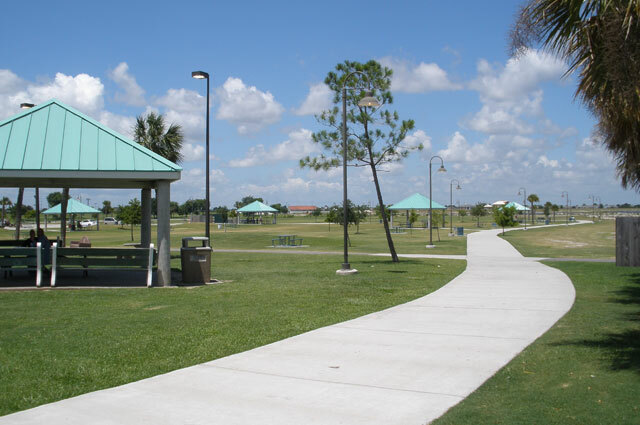 Having an event at a park in Kenner can be exciting and a little stressful all at the same time. 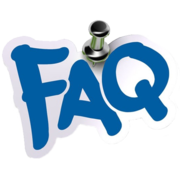 We have compiled all of the frequently asked questions from our customers to try and make the party planning process a little easier for you. 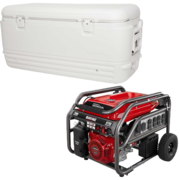 Q: Do I need to rent a generator to power the inflatable blower? A: Yes, most parks don't provide any power sources for inflatable use but it would be best to double check prior to booking the pavilion or shelter. Q: Are there any additional fees if delivered to a park? A: Yes, we charge an additional $50 fee for delivery to a park due to the labor intensive cost of scheduling the delivery and pick up of your rental. Q: How long are the rentals? A: The standard rental rate shown is for up to 6 hours, guaranteed time. However, you can schedule additional hours and the price will reflect the amount of hours. Q: How early do I need to be there before the party? Is there a window you deliver before and pick up after? A: We require a two (2) hour window before the party time selected for delivery and after for pick up. 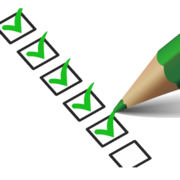 This allows us to schedule our delivery crew to ensure everything is setup before your guests arrive. Q: Do you have the required insurance to deliver to a park? Don't forget about the gyms and playgrounds available to you such as Buddy Lawson, Butch Duhe, Greenlawn, Highway Park, Lincoln Manor, Moss Bertolino, Susan Park, Wentwood, Westgate, Woodlake, and Woodward among some others. We can do indoor setups, no problem! In 2017, we assisted Cornerstone Chemical with their company picnic delivering 5 inflatables with attendants. They were able to relax and take it easy to enjoy time with their friends at work and family. 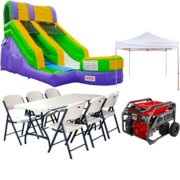 PartyZone Event Rentals services all over the greater New Orleans area including the following: Orleans Parish, Jefferson Parish, St. Charles Parish, St. Bernard Parish, St. John Parish and Plaquemines Parish. If you are unsure we can provide out services to you, check out our delivery area for additional information. On a normal basis, we deliver to Algiers, Ama, Arabi, Avondale, Boutte, Bridge City, Belle Chasse, Chalmette, Des Allemands, Destrehan, Gretna, Hahnville, Harahan, Harvey, Jefferson, Kenner, LaPlace, Luling, Marrero, Metairie, Mereaux, Montz, New Orleans, New Sarpy, Norco, Old Metairie, Paradis, Reserve, River Ridge, St. Bernard, St. Rose, Terrytown, Violet, Waggaman, Westwego. Delivery fees may apply depending on location.